The main building of the Tivoli Brewery complex is a four-story brick structure built in 1882. It is joined to a High Victorian Italianate style tower building, constructed between 1890-1891, by a shallow three-story brick overpass that forms a covered entry to the courtyard between the two buildings. The new interior to the Tivoli building. 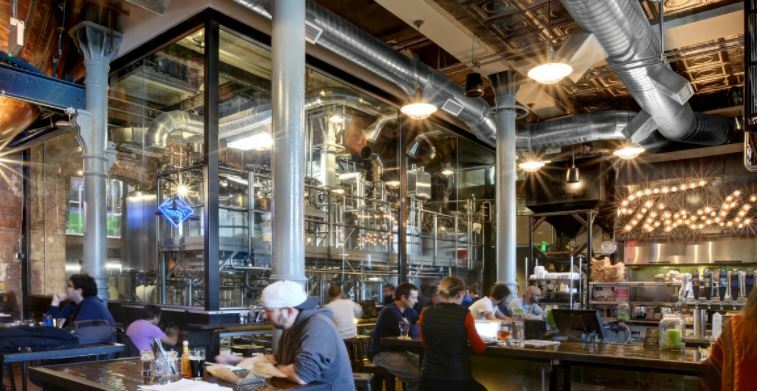 The complex housed the Milwaukee Brewery Company, an early Denver brewery. In 1901 the company merged with the Union Brewing Company to form the Tivoli-Union Brewery Company. With the exception of a break during Prohibition, the plant operated continuously until the mid-1960s. Preservation tax credits were used towards the building's renovation. 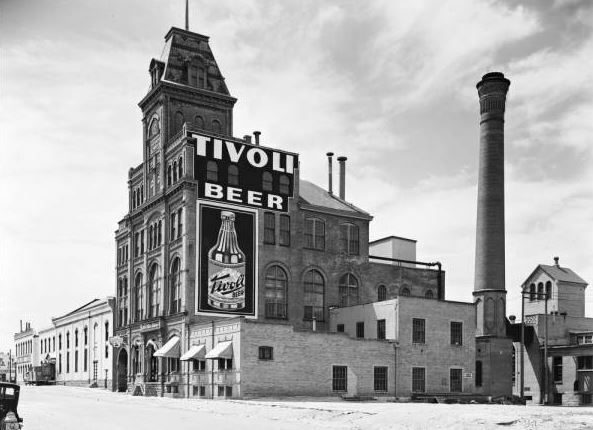 The Tivoli Brewing Company and offices in 1938.